There are a number of different techniques used to obtain personal information from users. As technology becomes more advanced, the cybercriminals' techniques being used are also more advanced. To prevent Internet phishing, users should have knowledge of how the bad guys do this and they should also be aware of anti-phishing techniques to protect themselves from becoming victims. While traditional phishing uses a 'spray and pray' approach, meaning mass emails are sent to as many people as possible, spear phishing is a much more targeted attack in which the hacker knows which specific individual or organization they are after. They do research on the target in order to make the attack more personalized and increase the likelihood of the target falling into their trap. Web based delivery is one of the most sophisticated phishing techniques. Also known as “man-in-the-middle,” the hacker is located in between the original website and the phishing system. The phisher traces details during a transaction between the legitimate website and the user. As the user continues to pass information, it is gathered by the phishers, without the user knowing about it. Link manipulation is the technique in which the phisher sends a link to a malicious website. When the user clicks on the deceptive link, it opens up the phisher’s website instead of the website mentioned in the link. Hovering the mouse over the link to view the actual address stops users from falling for link manipulation. Keyloggers refer to the malware used to identify inputs from the keyboard. The information is sent to the hackers who will decipher passwords and other types of information. To prevent key loggers from accessing personal information, secure websites provide options to use mouse clicks to make entries through the virtual keyboard. A Trojan horse is a type of malware designed to mislead the user with an action that looks legitimate, but actually allows unauthorized access to the user account to collect credentials through the local machine. The acquired information is then transmitted to cybercriminals. Malvertising is malicious advertising that contains active scripts designed to download malware or force unwanted content onto your computer. Exploits in Adobe PDF and Flash are the most common methods used in malvertisements. 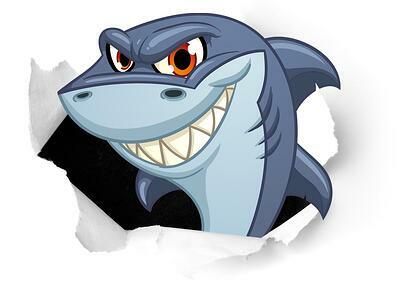 In session hijacking, the phisher exploits the web session control mechanism to steal information from the user. In a simple session hacking procedure known as session sniffing, the phisher can use a sniffer to intercept relevant information so that he or she can access the Web server illegally. Content injection is the technique where the phisher changes a part of the content on the page of a reliable website. This is done to mislead the user to go to a page outside the legitimate website where the user is then asked to enter personal information. Some phishing scams involve search engines where the user is directed to products sites which may offer low cost products or services. When the user tries to buy the product by entering the credit card details, it’s collected by the phishing site. There are many fake bank websites offering credit cards or loans to users at a low rate but they are actually phishing sites. In phone phishing, the phisher makes phone calls to the user and asks the user to dial a number. The purpose is to get personal information of the bank account through the phone. Phone phishing is mostly done with a fake caller ID. Phishing conducted via Short Message Service (SMS), a telephone-based text messaging service. A smishing text, for example, attempts to entice a victim into revealing personal information via a link that leads to a phishing website. Phishing scams involving malware require it to be run on the user’s computer. The malware is usually attached to the email sent to the user by the phishers. Once you click on the link, the malware will start functioning. Sometimes, the malware may also be attached to downloadable files. Ransomware denies access to a device or files until a ransom has been paid. Ransomware for PC's is malware that gets installed on a user’s workstation using a social engineering attack where the user gets tricked in clicking on a link, opening an attachment, or clicking on malvertising.